And that mission is to ignite imaginations and foster the next generation of visual storytellers by celebrating the history of cartoon art, its role in society and its universal appeal. So, if you’ve ever watched a cartoon, read a comic strip or book, or dabbled in drawing yourself, this museum is a must-visit in the city. Not only can you experience and enjoy cartoon art in all its forms, but you can also learn about the creation process and take classes in several related topics. We spoke with Andrew and his team to get further insight into the joys of cartooning and the Cartoon Art Museum. 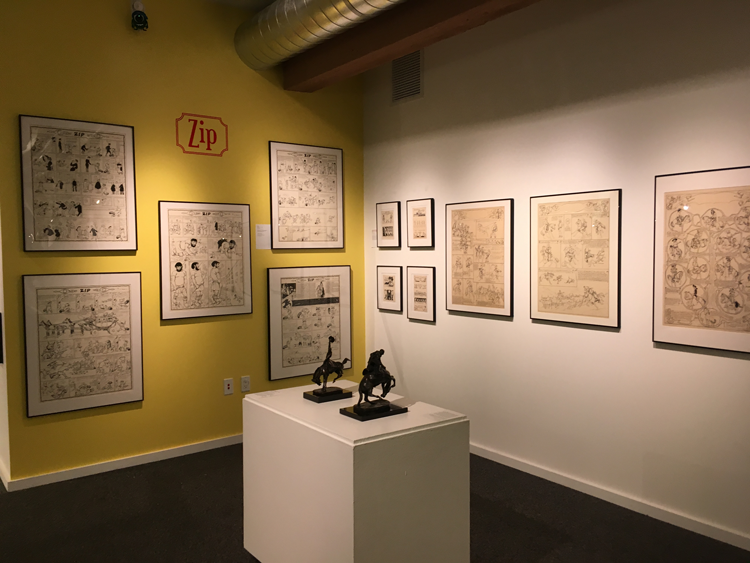 The Cartoon Art Museum story begins when a group of cartoon art enthusiasts began organizing their own pop-up-style exhibitions that displayed art from their own collections. Held inside local museums and corporate spaces, these exhibitions were born out of sheer passion and love for the craft. Then, in 1987, Peanuts creator and Bay Area resident Charles M. Schulz gave an endowment to the team and the museum made its brick-and-mortar home in the growing Yerba Buena Gardens. From its original home, the organization moved to a nearby location in 1995. In 2001, they jumped again to the other side of Yerba Buena Gardens, and in October 2017, after a two-year hiatus, the museum reopened at its new location in Fisherman’s Wharf. 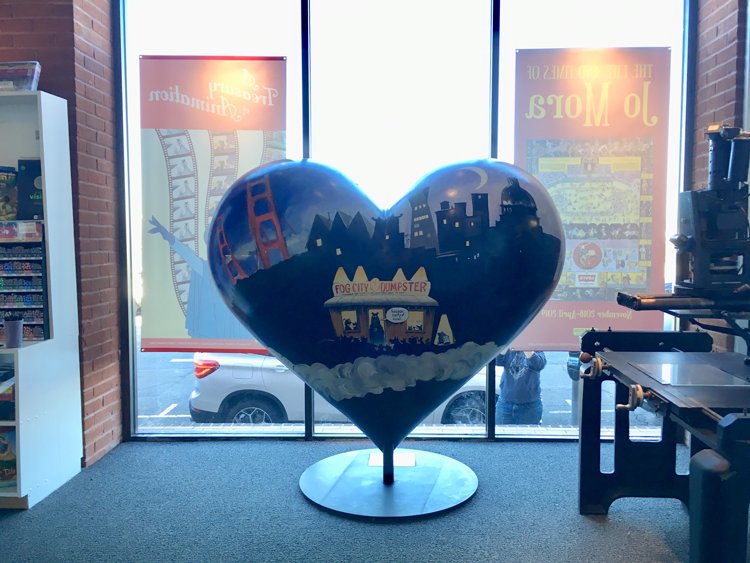 Just one block from Aquatic Park, the Maritime Museum, Ghirardelli Square and the Hyde Street cable car turnaround, the new museum puts their collection within reach of residents and locals alike, providing a creative space for everyone in the city. Here, you can view, discuss, create and interact with all forms of cartoon art and even connect with the artists who make it. 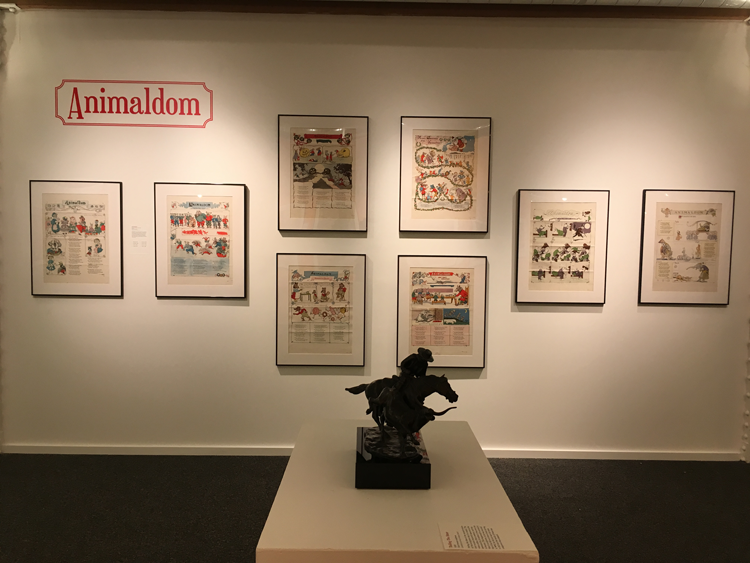 Through three decades of history, the Cartoon Art Museum has produced upwards of 200 exhibitions ranging from topics like politics and sports to children’s literature and Latino culture. Their permanent collection consists of about 7,000 original pieces. 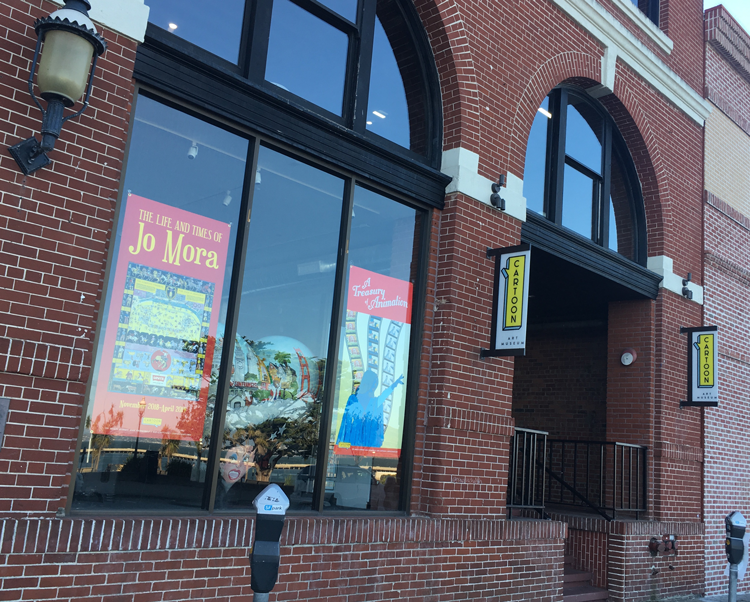 And with more than 30,000 visitors annually, there is plenty for those patrons to see, from showcases on emerging artists to complete explorations of the life and works of major artists like Jo Mora. And a visit to the Cartoon Art Museum won’t break the bank either. Regular adult admission is $10 and San Francisco residents pay just $7. There are additional discounts for students, senior citizens, military and educators who pay just $6. And children five years and younger are admitted for free! Additionally, the museum offers Pay What You Wish Day on the first Tuesday of every month. And residents of Napa, San Mateo, Santa Clara, Solano, Sonoma, Alameda, Contra Costa and Marin Counties all get reduced admission during designated months. To find your county’s month, click here. And for more information on membership and contributions, click here. You can learn more about the Cartoon Art Museum on their website here, and keep up with current news and exhibitions on their Facebook page here. If you can’t get enough, consider taking a class or workshop. “We have a number of talented cartoonists in our teachers’ pool who are knowledgeable in all aspects of cartooning, from pencil-and-paper mini-comics to contemporary computer animation,” said Andrew. “We host monthly cartooning workshops for kids from ages seven to twelve, and for teens and young adults, but we also host regular workshops for parents who want to draw with their kids and Cartoon Camp for older kids and younger teens who want to take week-long intensive workshops. These classes are available to the general public, and we do our best to make sure they’re accessible to everyone.” For more information, click here. When you’re learning and exploring at the museum, be sure to tag us on social media using #DiscoverYourView so we can join in the fun! Your photo may even be reposted in our Instagram feed, @mcguire_re.